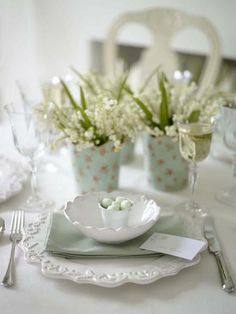 I love Easter as it kind of heralds the start of spring and of course not forgetting all the lovely yummy chocolate treats that go with it! 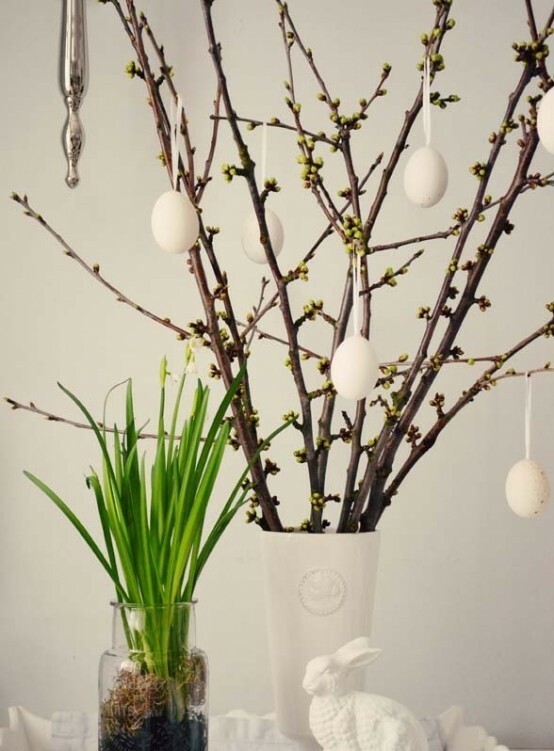 Easter Sunday is rather early this year, so I hope some real spring weather arrives in time. 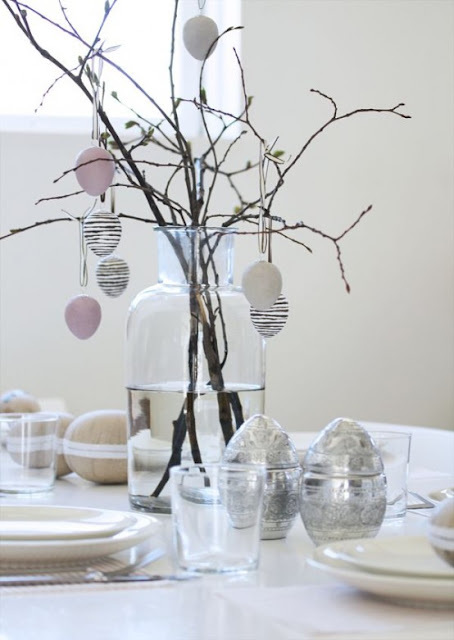 A very simple and stylish table setting…. 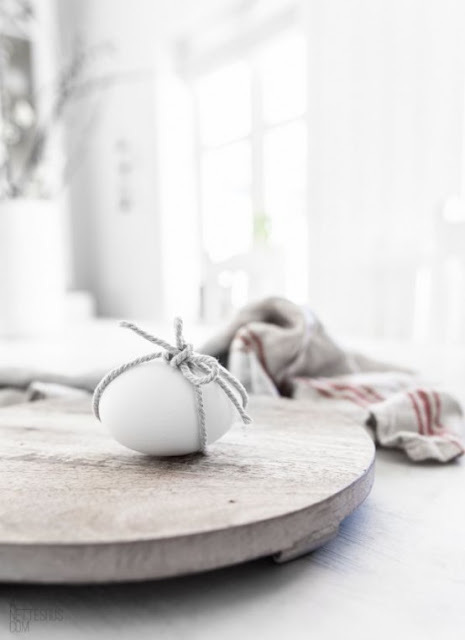 Kitchen decor idea-a group of these would look cool in a wooden bowl on the worktop…. 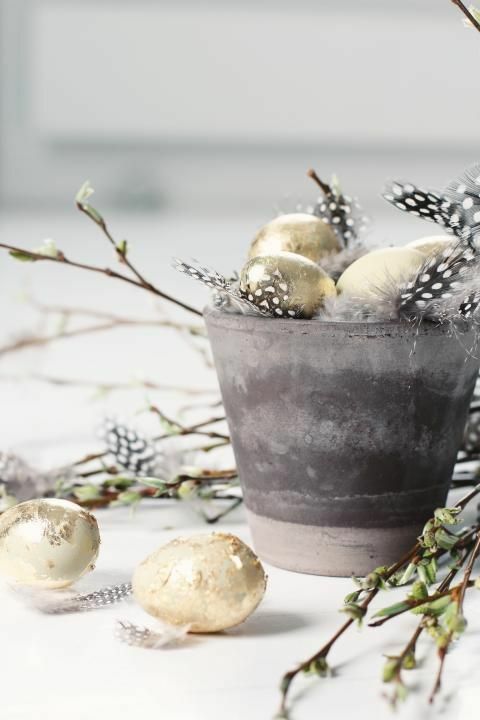 Love the hanging eggs and soft colours in this display…. 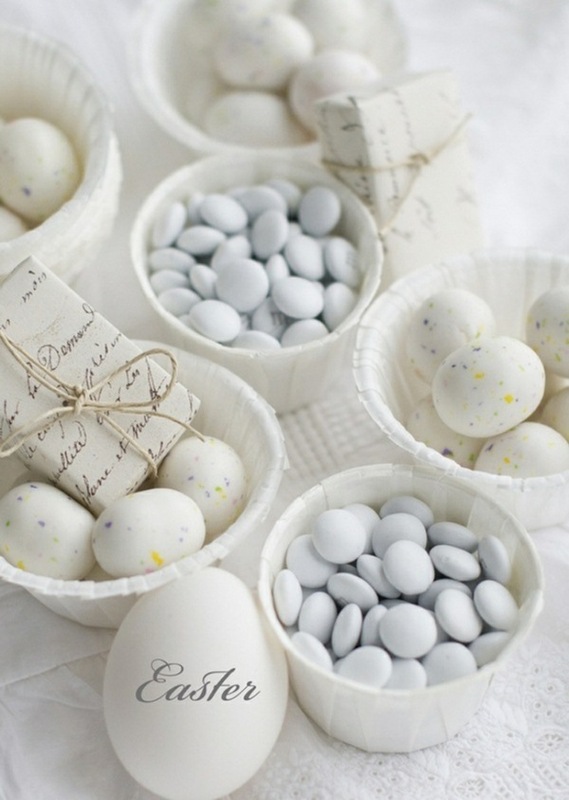 A very cute arrangement, I must get out my white bunny:)….